From design and development, throughout the product’s lifecycle, to disposal, our products at Copier Fax Business Technologies are engineered, manufactured and transported in ways that save energy and reduce waste. 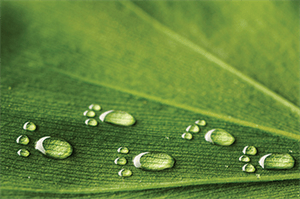 Konica Minolta’s Clean Planet Program leads the industry in protecting the environment. They have now simplified the program to make it even easier and more convenient. Saving energy, managing resources and promoting policies that really make a difference — it’s all part of our commitment to preserve the planet for generations to come. To read more about their new program – CLICK HERE! We are highly encouraging our clients to register for the Box Program. The Box Program is ideal for customers who utilize between 4 and 200 cartridges per month. Each order includes 3 individual recycling boxes that are designed to hold 10 to 15 items (when placed into the recycling box without the original packaging). The boxes come complete with pre-affixed return UPS labels. When a box is full, simply secure the liner with the included zip ties, tape the lid, and schedule a pick up through UPS. If you have any questions, please contact your CFBT representative. Thank you for helping us go green!